A driver’s fuel economy can be agressive or sloppy but in this article we’ll cover on how to be more efficient. By measuring your fuel economy you can check if changes you make to your driving are saving you fuel gas mileage. If you have a fuel economy estimate on your dash-board you can see and learn how to accelerate efficiently and find the sweet spot speed at which your car uses less fuel. According to the EPA the gas mileage of your car can improve by 4% if you have it properly tuned, for tires inflated correctly by 3%, and using the right oil by 2%. Keep your car rolling smoothly, it’ll pay off. 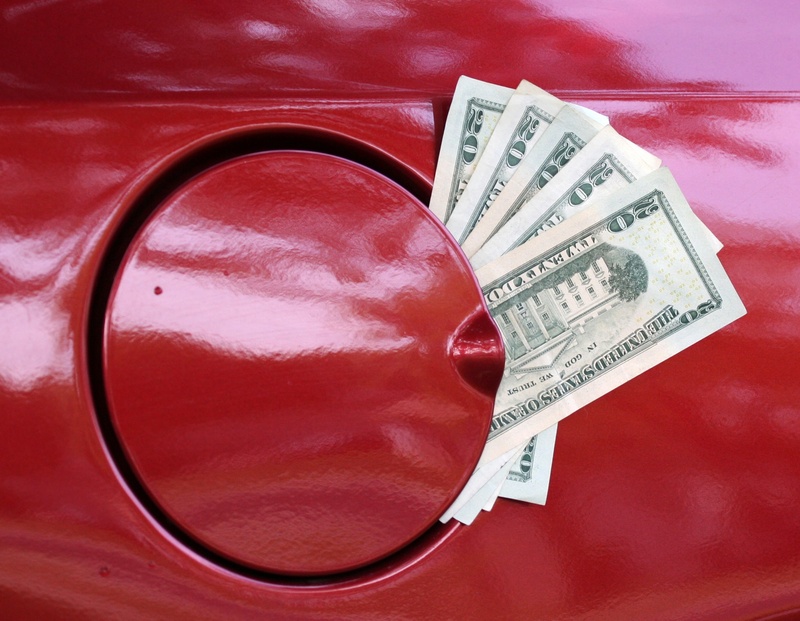 Excessive weight in the car wastes fuel, especially when accelerating. If there’s unecessary things in your car then remove them. Actually, The secret of the new fuel economic cars is making the cars lighter. *Losing 100 pounds will imrpove fuel economy by 2%. When a car goes beyond 30 MPH it starts using more energy to deal with wind resistance than for rolling. Having your sun roof open or windows down can increase the drag. As a rough idea you want to take 15-20 seconds to get to 50 mph (80 km/h). This would combine a relatively gentle start in the low gears with a more rapid shift through the middle gears before settling at an economic speed (40-50 mph) in top gears. Once your reach an efficient speed, maintaining a constant pace avoids wasting energy on decelerating and then accelerating again. Cruise control can help with this, but some people also find pulse and glide techniques effective. When it comes to braking, less is more. Braking takes useful kinetic energy and turns it into waste heat. Anticipating road conditions and coasting in gear to a stop makes the most of your car’s momentum, as long as it is done safely. The EPA estimate aggressive driving can reduce gas mileage by up to 33% while Edmunds’ testing found similar results. If done well smooth driving can also be safer, more relaxed and better for your car. Over revving your car wastes fuel easily so try to have as a general rule to change up a gear under 2,500 revolutions. Check your car’s manual because sometimes there’s a guide for this. *Research by the Oak Ridge National Laboratory compared the fuel economy of 74 cars at speeds 50, 60, 70, and 80 mph and results showed that for every additional 10 mph beyond 50 mph reduces fuel economy by about 14%. If you have a tendency to drive really fast on the highway, slowing down (by about 10mph) will save you a good portion of fuel. Flow with gravity by allowing your car to go slightly slower up a hill and then going down in gear. This will save you fuel by trading kinetic energy for stored energy of being higher. If you’re waiting for someone or stationary in traffic you are better off turning the engine off (When it’s safe to do so). Modern cars don’t need much time to warm up. The stop-start of traffic will ruin your fuel economy. Get phone APPs that show traffic flow to avoid jams and save fuel.